Back in the mid-1900’s, you would never believe that Forjas Taurus would be where it is today. It’s hard to believe that a small metal and plastic manufacturer in the southern coastal city of Porto Allegro, Brazil could develop into one of the most impressive weapons designers in the world. Now internationally celebrated, the up and coming South American firearms manufacturer started with just one revolver back in 1941 but now has a catalog filled with several dozen different pistols, revolvers, and rifles. Debuting in the late 1930’s, it only took a few years for Taurus to get into the arms industry. In 1941, Taurus unveiled that first firearm: the Model 38101SO Revolver. Since then, the Brazilian company has grown exponentially and now produces some of the finest revolvers in the industry. For example, check out their award-winning line of .22LR revolvers. One of the biggest attractions of their weapons is their affordable prices due to lower labor costs. Experienced shooters may remember the days of faulty Taurus weapons, but I can assure you that those days are long gone. Today, Taurus is among the best in the business with a wide variety of weapons. They currently produce award winning guns ideal for target shooting, concealed carry, and home & personal defense. This Brazilian company has such an extensive history and lineup, which unfortunately, we can’t get into here. However, I recommend getting a taste with our summary of the unique company and their impressive collection of firearms. For now, it’s time that we get to it and begin another Gunivore review, this time of the Taurus Model 608 Revolver. 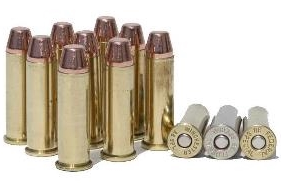 Caliber: 38 Special +P / 357 Mag. Sights: Fixed front, adjustable rear. 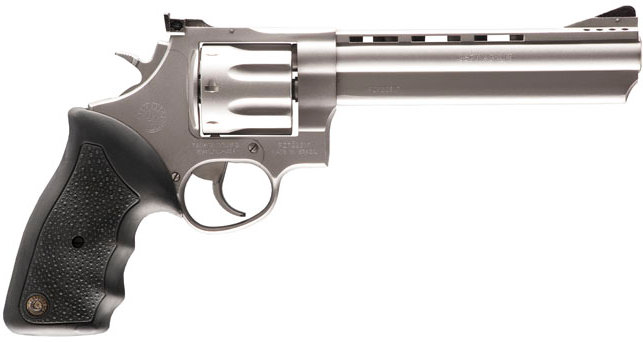 Taurus’ Model 608 may look like your standard revolver, but there’s more than meets the eye. The Brazilian company was looking for a response to the Smith and Wesson Model 686 when it developed the 608. Later we’ll discuss how these two match up. Released in 1997, this full body revolver is sure to impress even the most experienced shooter. Taurus hooked the 608 up with a full sized stainless frame and extremely durable components to ensure its longevity and performance. The hammer-forged design and hand-fitted actions guarantee that the incredible 608 will never disappoint. Looking at the comfortable, form-fitting rubber grip and the 4” ported barrel, this Taurus is excellent from end to end. Arguably the most impressive feature of the 608, the Taurus Security System, is not to be overlooked. When the Security System is engaged, the Taurus’ manual safety can’t be disengaged and the gun can’t be cocked or fired. As an added plus, this specialized safety mechanism is incorporated into the firearm and can’t be lost. The 608 is also equipped with a manual transfer bar safety. This mechanism effectively stops the hammer from striking the firing pin unless the trigger is fully engaged. If you take a closer look at the 608, you’ll notice that Taurus is equipped to chamber 8 rounds while still managing to keep a slim, compact 1.76” width and 6” height. Nevertheless, this Taurus is no flimsy weapon. Its 44 oz. build feels great in your hands and definitely lends itself to strong performance. Speaking of performance, let’s see if the 608 shoots as well as it looks on paper. There are several features on the Taurus 608 which contribute to its shooting performance. Starting from the rear, the sight system on these revolvers is pretty standard but very effective nonetheless. The 608 has an adjustable rear sight matched with a fixed front sight. Moving forward, the Single Action/Double Action trigger is crisper and smoother than ever. 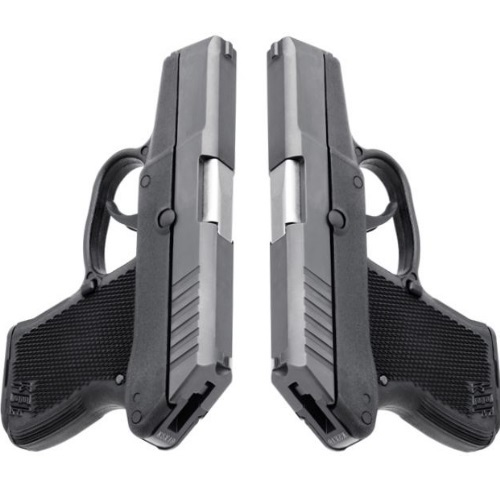 Staying on the rear end -although not as nice as the Ribber grips on other Taurus revolvers- the ordinary black rubber grips on the 608’s are ergonomic and quite sturdy. A good grip shouldn’t be overlooked, especially on a gun with this kind of firepower. Taurus incorporated factory tuned porting and a gas expansion chamber on the Model 608, which noticeably lowers the recoil on these revolvers. 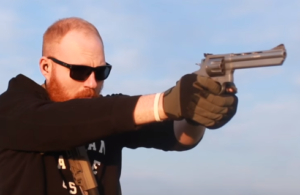 More so, they successfully limited the muzzle flip on these guns which contributes to the comfortable shooting and minimal recoil of their revolver. In another attempt at keeping the control manageable on the 608, Taurus gave them a hefty 44 oz. weight which is heavy enough to absorb plenty of recoil but still light enough to not cause too much fatigue even after one handed shooting. Besides for its remarkable handling, the 608 has pretty good accuracy, too. In order to ensure this accuracy, Taurus gave the 608 a 1:16.5” twist rate on the hammer forged barrel. If you’re looking for a reliable handgun for personal safety, look no further. I would use .38 Special and .38 +P at first to get used to the 608 and then graduate to different .357 loads once you’re comfortable. If you’re looking for even more firepower, Taurus recently released the Model 44 which offers up to 6 rounds of .44 Mag loads! Just beware though, that with these types of ammunition, cleaning your 608 is a must! Check out my piece on general firearm upkeep for some quick and useful tips. 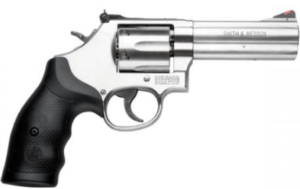 Besides for the standard Model 608, Taurus also offers this revolver in two additional barrel lengths: 6 ½” and 8”. On these larger revolvers, Taurus offers scope mounts which match their finish. For this gun, there’s one scope which is by far the best fit, and that’s the Burris 2x20mm optic, but it’ll cost ya. Taurus launched their Model 608 in 1997 as a response to Smith & Wesson .357 Model 686. 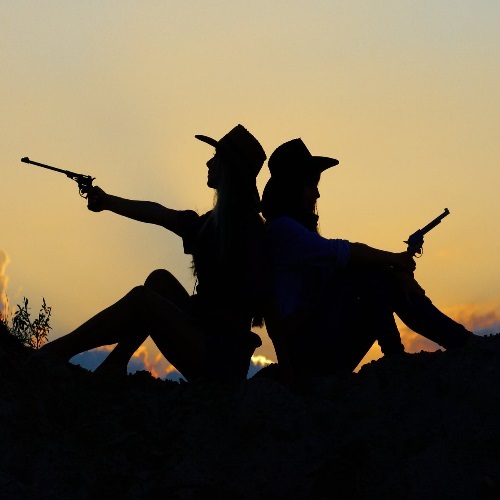 The latter revolver, chambered for seven rounds, is a bit smaller than the Brazilian Taurus whose large-frame holds eight rounds. In general, if price is more important than quality, definitely go for the Taurus. As much as I appreciate the 608 and the other Brazilian firearms, Smith and Wesson is the epitome of class, quality, and reputation. More people tend to go for the S&W and in this case I’m inclined to agree with the popular opinion. People looking for affordable (around $500) 6” barrel .357’s will often be stuck between the Taurus 608 and the Ruger GP100 – but which is the better choice? On one hand, Ruger has a better reputation and has been around for a lot longer. However, on the other hand, Taurus is known for offering high quality firearms for lower prices, so it may actually be worth more than it costs. Additionally, the Taurus is a little bit cheaper and has a ported barrel. Nevertheless, it’s hard to go wrong with a Ruger. I know I’ve heard dozens of horror stories about Taurus revolvers being total duds and falling apart, but I’m relatively confident that that’s an issue of the past. All things considered, if you’re stuck between these two, I’d go with the sure thing. That’s the Ruger GP100. 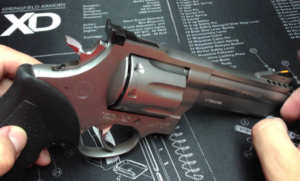 Taurus’ Model 608 is a very fine revolver. Besides for the hard-to-beat price tag, the Brazilian handgun has a seriously impressive spec sheet, including unrivalled safety features. However, the 608 doesn’t just look good- it also offers a better than average performance. Nevertheless, as good as it is, it still falls just a bit short of the competition. Looking for more on Taurus? Check out our Taurus Millenium G2 and Taurus 709 Slim Pistol reviews. Only at Gunivore. Good to see this type of writeup. Most will either sound as if they are paid advertising, or sound as if they just hate the manufacturer and didn’t even try the gun out at all.